Baby's first word | gingerbread smiles. For a while now, people have been commenting on how crafty they think I am. How I always seem to be making something, which I guess I am. Finding new craft ideas to undertake is great as it keeps be busy and I have a beautiful output. For a while I've been working on a little project for my sister's baby. She is currently pregnant but not far off now. She knows she is having a boy and is going to call him Noah. 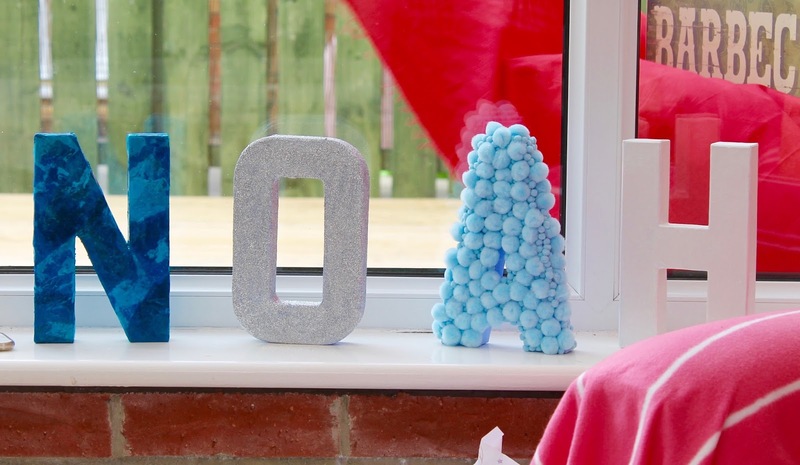 With that in mind, whilst in Hobbycraft, I picked up these 3D mache letters as well as few bits to decorate them with including coloured tissue paper, pom poms, glitter, blue paint and a sparkly paint. I got to work as soon as I brought them home, to Matt's dismay I did all this on the carpet although I must add I had lots of plastic bags down! The tissue paper N was an easy one to do, I just had to make sure I had a mix of the two colours and went over this twice to ensure good coverage. The H was just simply painted in the sparkly paint. I had to do a few coats to ensure you couldn't see the colour from below. 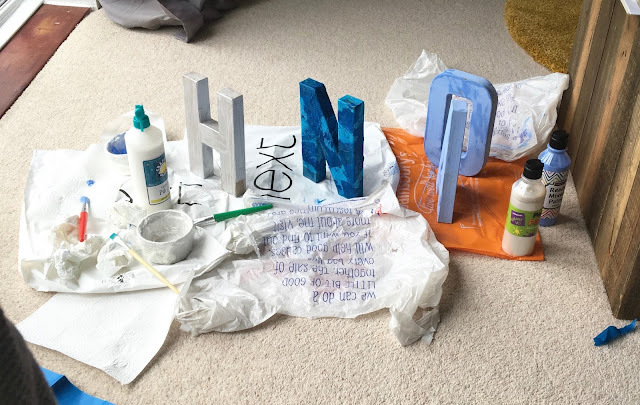 I painted the O and A in the blue paint to give them both a base to their decoration. With the pom pom A I used a mix of large pom poms and smaller ones which I think gave it a really good effect! It seemed to be everyone's favourite decorated letter. The O took the longest of them all. Gluing the glitter to the O and ensuring it was all coated was very tedious. It took a few weeks but I think it has come out okay! The finished letters were taken to the baby shower and put on display for everyone to see. Kelly didn't know I'd done them so it was nice to finally give them to her to take pride of place in Noah's nursery. 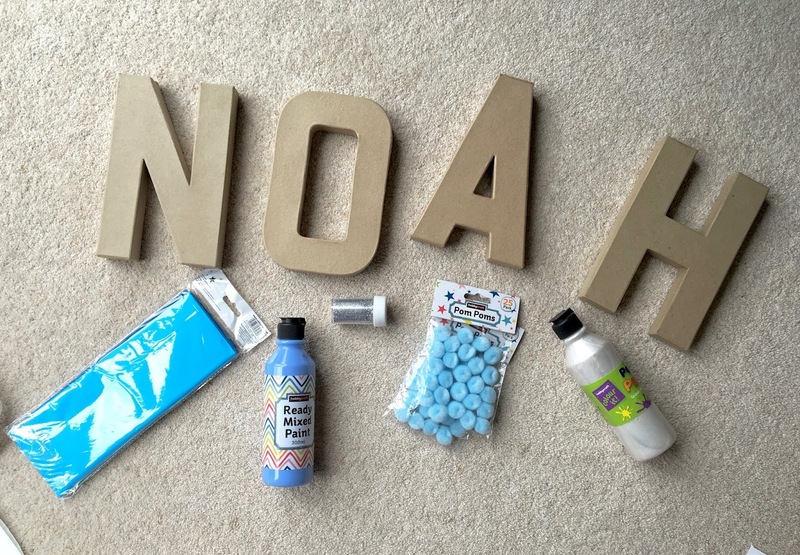 Have you done anything crafty lately? Let me know in the comments! They're wonderful. Homemade gifts or even cards really do mean a lot. Aww that's lovely - what a good job you did!